To begin, as many people know, Derrida’s Post Card is one of his most “experimental” texts, especially the Envois section – a selection of “love letters” to an unknown addressee. 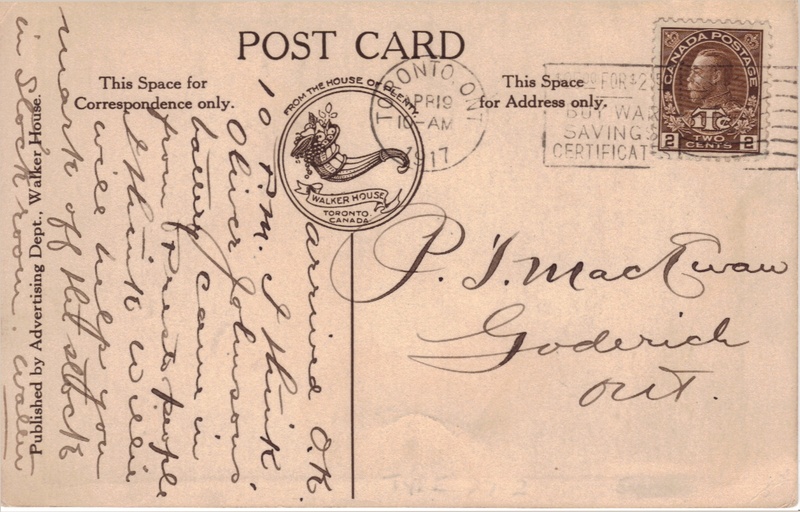 The returning subject of these letters or postcards is the eponymous postcard apparently found in a shop at Oxford University. The image, which also serves as the cover of the book, is a thirteenth-century illustration by Matthew Paris, which was originally published in a book, on fortune-telling (see above). The image shows two figures labelled as “plato” (lowercase “p”) and “Socrates” (uppercase “S”). But, and this is Derrida’s point of departure for his letters, is that the names appear to have been reversed in the image. The figure denoted as “plato” stands behind that of “Socrates” who, seated at a lectern, appears to be transcribing what “plato” says. The whole scheme of the origins of Western philosophy is reversed and Plato’s stature is, literally, demoted. Rather than Plato having written down what Socrates said, Paris gives us the reverse scenario in which the “figures” of speech and writing were confused at the start. Derrida sees in the postcard image an ironic foretelling or fortune-telling of his own account of “writing” as a generalized theory of spacing, tracing, differing and deferring signification. Writing, for Derrida, as we know, is not derivative of speech as it is in the “phonologocentric” account. Speech rather is understood to have features that carry the trace of writing already within its structure. The iterative structure and the spacings or gaps between spoken words parallels the spaces between words and marks that makes inscription intelligible. Speech and linguistic inscription are therefore said to be marked by the general economy of writing and thus prior to the hierarchic distinction of speech before (and over) writing (see Derrida 1987b). Now it would be interesting, in another context, to unpack this. Indeed, the text is ripe for a queer reading that might, for example, delineate its critique of the phallogocentrism of philosophy. But I am ultimately going to go in a different direction. What I have been wanting to find is a measure of reading and thinking this text that will not domesticate it by collapsing into a version of predigested, institutionalized, and, let’s be honest, commodified “Derrideanism.” What I want to resist, or reply to, then, is not the Post Card but the authority invested in this text. To begin, I should say that I first came by the Post Card quite by accident. I bought the book for my brother years ago. I bought it because I know he likes “philosophy.” I was quite young at the time and naïve. All I knew was that Derrida was a name for a recently deceased “famous” philosopher. So, I gave the book to my brother as a gift. Later, I noticed, once while visiting him, that the book appeared to have been barely touched. I asked him what he thought of it. He confessed he had not got much out of it. I myself had never even peeked into its pages. What I have come to realize these many years later is that my effort to understand or “get” the Envois had everything to do with the name on the cover of the book – “Jacques Derrida.” I wasn’t really trying to get the Envois, I was trying to get Derrida. And it seems that the very effort, which was considerable, that I invested in that task had everything to do with his proper name. “I assume,” writes Derrida, “without detour the responsibility for these envois, for what remains, or no longer remains, of them, and that in order to make peace with you I am signing them here in my proper name, Jacques Derrida” (6). 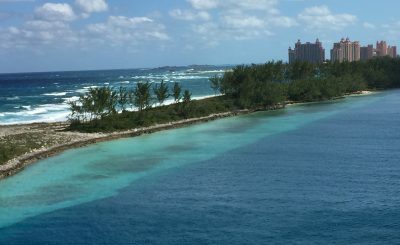 No matter what we might say about the Post Card– its questioning play with signatures, copies, reproductions, authorial erasure, reading, destination, destiny, and such – would we wonder about it in those terms if it were not for the proper name that graces the cover and is signed in the opening? So, the question of the signature. What do we make of the signature, Jacques Derrida? How is it that this name operates as a proper name stabilizing and reifying a whole set of questions, investments, and returns from publishing houses, journals, or, it must be said, expensive conferences like this one? What to say about the paradox by which the “deconstruction of the subject” now functions (in a Foucauldian sense) as an allegory for Derrida? What excited me first about the Post Card was its hubris, even its “insane hubris,” which traversed my mind and pricked me. I knew that whatever else the book might be about, it did not seem to be about philosophy in the standard sense. And yet, and this is what pricked me then, was that it was authorized and vested with authority by none other than the University of Chicago Press. Let me be clear: I am not saying that the press should not have published it, but it did seem that it was published not solely for what is in the text but for the proper name that signed it. Had I decided to try and read or “get” the Post Cardbecause I decided, on the basis of the authority of the press, that it must be worth the time? Here I must introduce another proper name – François Laruelle. Laruelle’s non-philosophical project means many things. But one thing it certainly means is to stake a position that challenges the authority vested in philosophy and even the critique of philosophy, which is to say, in a certain sense, deconstruction. It is why more recently Laruelle uses the term “non-standard philosophy” even while it seems that the former term is here to stay no doubt owing to its rhetorical charge. 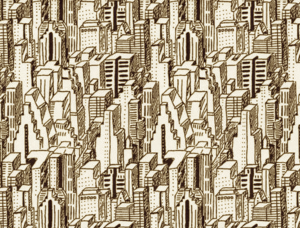 Non-philosophy challenges the authority of philosophy. Now bear in mind that I am well aware that the trap of authority lies in wait for non-philosophy too. I thought I would here begin an explication on the details of various texts by Laruelle. But that move strikes me as reifying the problem of authority all over again. Or, at least, it would be a move that conforms to the general theoretical or philosophical program by which one author is elevated over and against another. I want instead to turn to a parallel problem in the arts: the reception and standard pedagogical account of Marcel Duchamp. This turn I hope will reframe or refocus the question of authority and its historiographical implications, which have, in my view, implications for reading philosophy and non-philosophy in a non-authoritarian fashion. The art of Duchamp is arguably the most philosophical art of the twentieth-century. 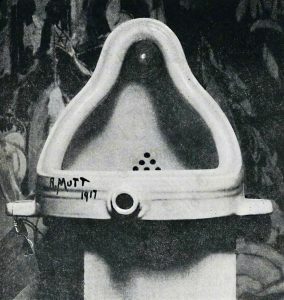 His so-called “readymade” artworks – most memorably his urinal-as-art-object, the Fountain of 1917 – called into question the standard assumptions that had until that moment grounded the practice and theory of art. Fountain was found and not made; it exhibited little to no aesthetic content; it was commercial, industrial, everyday – banal. Duchamp was largely marginalized in the first historical accountings of modern art. The modernist “movements” from French Realism through Cubism to Abstract Expressionism and so forth, were understood by formalist critics, notably Clement Greenberg, as a series of self-critical attempts to uncover a purified ontology of painting and sculpture. But Duchamp’s work did not fit the formalist frame, for his work precisely challenged the value of formal innovation itself. His subsequent embrace by artists of the post-1960s generation has retrospectively posited Duchamp as the father of postmodernism. The problem with this historical schema, still quite popular in undergraduate art history classes, is that this construction reifies precisely the kind of linear, encompassing narrative that postmodern thought is supposed to call into question. It was Jean-François Lyotard, after all, who, in The Postmodern Condition, argued that postmodernity is precisely marked by a creeping suspicion or “incredulity” with respect to “grand narratives” of historical progression whether in art, politics, or culture generally. Standard art historical accounts structure the modernism/postmodernism divide through ‘a periodizing and idealist logic,” writes Amelia Jones, that is “thoroughly characteristic of the modern.” Jones takes her cue from Lyotard and from Craig Owens in her attempt to rethink the legacy of Duchamp’s art without reifying the linear logic of modernist art historiography. “The postmodernism I am concerned with,” writes Jones, “is that articulation of what art critic Craig Owens has called a ‘counter-discourse’ to a rather narrowly defined modernism, which it poses itself as superseding: This postmodernism stages itself as the negation of modernism, as its radical other” (1). Yet Jones is not entirely satisfied with this definition of postmodernism either because it retroactively reifies and stabilizes the category of “modernism” in contrast to the challenge of postmodernity. In other words, art history has a vested interest in maintaining its modern paradigm because the value of art works are tied to what might be called the authentication business transacted by art historians and museum professionals that ultimately serve the needs of the art market. Jones’s thesis is perhaps best supported by the ironic museological territorialization of Duchamp’s work since the 1960s. Fountain is today an icon of twentieth-century art, gracing the cover of art history textbooks, and only half ironically protected in a glass vitrine at the Philadelphia Museum of Modern Art where it sits on permanent display. Duchamp’s effort to trouble the modernist prejudice for the original, authentic, and handmade with a readymade piece of industrial plumbing signed with a pseudonym (R. Mutt) is now a cornerstone of Duchamp’s oeuvre and is the lynchpin of postmodern art history. This domestication of Duchamp is testament to the influence that the modernist paradigm continues to exert over the practice and teaching of art history. If Jones is right that the advent of art historical modernism, roughly 1840, coincides with the advent of modern art historiography, then it follows that “modernism” as an idea was roughly synonymous with the definition of art itself as defined by modern art historiographic practice. The basic taxonomical terms of art historical canonization are linked by an inner logic that conforms to a modern philosophic preoccupation with the individual, the psyche, biography, subjectivity and their link to aesthetics. The artist’s individuality is reflected in a style that comes to mark a certain period of art historical development. The artist’s individuality thereby becomes the raison d’être of both art history and art itself. Moreover, the claim concerning the originality of the artwork operates through a more or less explicit aesthetic judgment that deems certain original works significant or important – works of original “quality” as Greenberg liked to say. Ironically, today the claim is often made, by self-proclaimed postmodern art historians, that Duchamp was an original artist because his idea that an artwork does not have to be aesthetically pleasing was an original contribution to art history! Duchamp’s critical “vision” is made, once again, the art historical marker of significance: the singular vision of the artist – the genius. Duchamp’s “turn” from an “artistic” to a critical practice is figured as a turning point in art history thereby securing, once again, the historical to the personal, the transubjective to the subjectivity of vision. The enigma of Duchamp: how to think this challenge to modernism without reinscribing that challenge within the value-ladened frame of modernism? How do we recognize the critique of originality, the deconstruction of authorship and the expressive, psycho-biographical self without reifying that critique into a historiographical projection that would simply reaffirm the centrality of the visionary artist as the historically determinant force in the movement of art history? The challenge faced by art historians who want to be faithful to the end to the challenge posed by the readymade parallels the challenge faced by readers of Laruelle. How do we as readers remain faithful to the texts of non-philosophy without reinscribing them within the frame of philosophy proper? Here I am using the term ‘text’ in the sense that Barthes did. The ‘text’ of non-philosophy is not synonymous with the works signed by Laruelle; rather the term is meant to mark the ‘non-philosophical’ material that those works trace: art, photography, science, literature. For if non-philosophy is simply read as a “critique” of philosophy, then it is collapsible back into philosophy which since Kant has been a critical practice. Another parallel: the immanent values inscribed within the practice of art history in its modern form is found in the standard approach to the history of philosophy. The centrality of the artist in art history is paralleled by the centrality of the philosopher in philosophy. 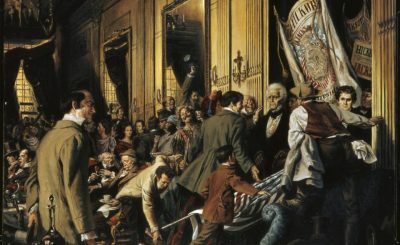 Both disciplines have a tendency to collapse “history” into the privileged vision of a subject of creativity or critical thought as the case may be. And so, the question of the signature persists. How do we escape the norms of modernist historiography whether of philosophy or art history that continues to privilege the signature even when that signature has been erased, faked, multiplied, dispersed, functionalized, or otherwise deconstructed? How do we escape the authority invested in the signature and the signification of historical significance for which it is made to stand? How do we overcome – or can we – the allegorizing of Derrida as deconstruction, Duchamp as postmodern, Laruelle as non-philosophy and so forth? How do we responsibly respond to the signature without reinscribing the authority vested within the constraints of a modernist paradigm that is still powerfully operative even or especially when it does so under the sign of its critique? Jonathan Fardy is on the art faculty at Idaho State University. His research examines the theoretical foundations of art, aesthetics, and especially photography. His first book Laruelle and Non-Photography is a critical reading of the “non-photographic” theory of François Laruelle. His second book, Laruelle and Art: The Aesthetics of Non-Philosophy, is under contract. This full-length monograph examines Laruelle’s theory of “non-aesthetics.” His research interests center on the relation between theory and visual culture. His new research project is tentatively titled Against Dialectics. It examines the response to dialectical aesthetic theory by Laruelle, Baudrillard, Henry, Deleuze, and others. He will be presenting some of his new research at the Second International Conference on Baudrillard at Oxford University in September 2018.